With late January’s release of guest world functionality, Watopia is now available every day. 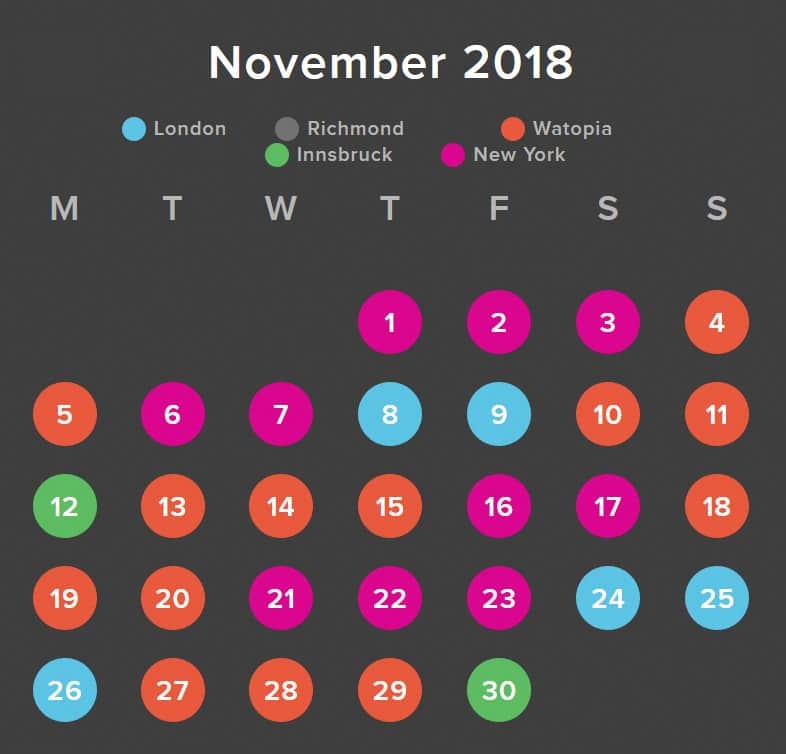 The other four worlds rotate as the “Guest World” according to the calendar below, giving Zwifters access to two worlds (Watopia + Guest) at any given time. 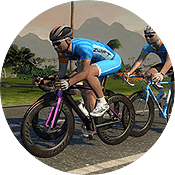 If you’d like to ride an off-schedule course, see How to ride any Zwift course at any time using the <world> tag. You may also join events held on off-schedule courses. Keep in mind the guest world course changeover happens at 21:00 Los Angeles time (PST) or UTC-8 hrs. UPDATE: with guest world feature release, the daily guest map schedule will certainly be changing for January. We will update it here once a new schedule is available. 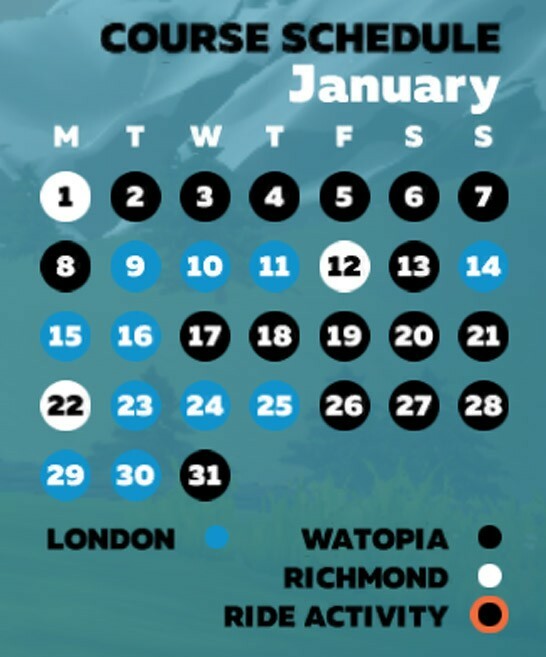 The schedule for January gives us 14 days in Watopia, 9 in London, and 7 in New York. Our guess is they are working on world choice/guest map option and this calendar could change during the month. Keep in mind the course changeover happens at 21:00 Los Angeles time (PST) or UTC-8 hrs. The schedule for December gives us 15 days in Watopia, 9 in London, 6 in New York, and 1 in Innsbruck. The schedule for November gives us 13 days in Watopia, 10 in New York, 5 in London, and 2 in Innsbruck. The schedule for October gives us 16 days in Watopia, 1 in Innsbruck, 4 in London, and 10 in New York City. The schedule for September gives us 11 days in Watopia, 15 in Innsbruck, 4 in London, and for the first time ever, 0 in Richmond. With the UCI IRL worlds happening, lots of Innsbruck days aren’t surprising. 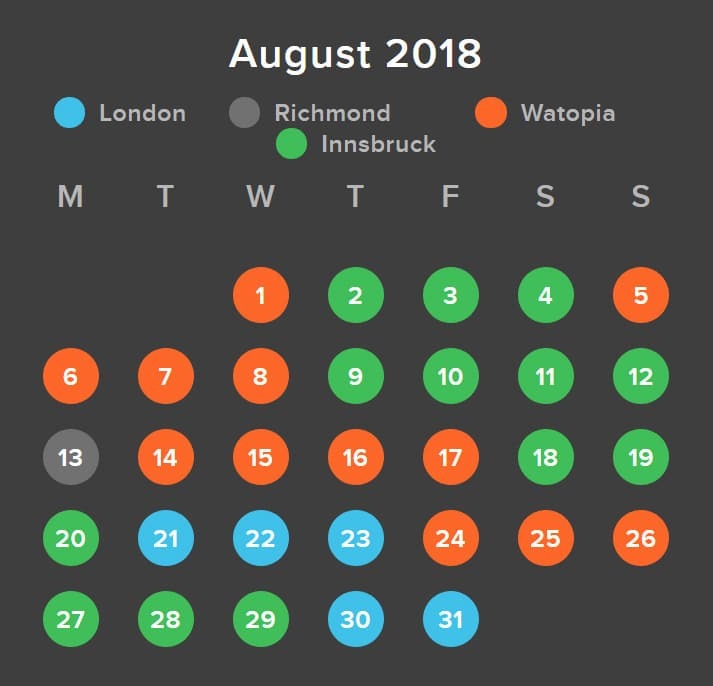 The schedule for August gives us 12 days in Watopia, 1 in Richmond, and 5 in London, and 13 in Innsbruck, the latest course on Zwift. 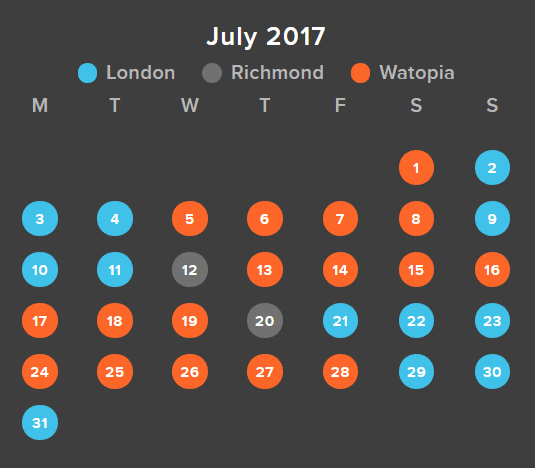 The schedule for July gives us 18 days in Watopia, 2 in Richmond, and 11 in London. 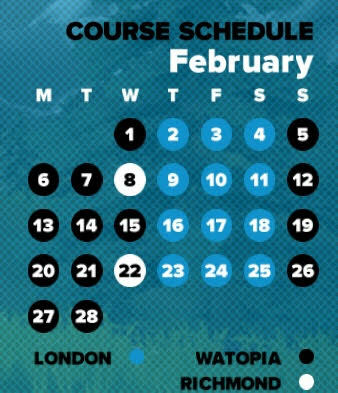 We’re starting to see some events being held on “off-schedule” courses, which is an exciting development. 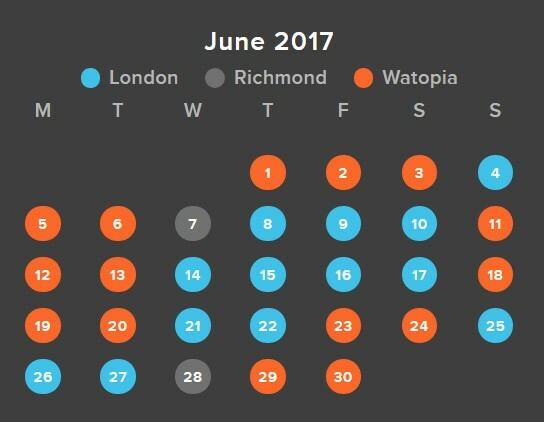 The schedule for June gives us 16 days in Watopia, 3 in Richmond, and 11 in London. 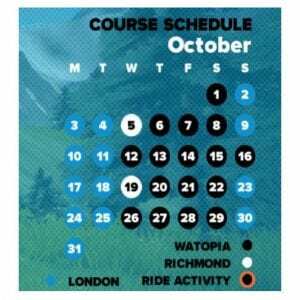 With nine straight days of Watopia (2nd-10th) surely Zwift has something special planned. And three days in Richmond? Time to race! 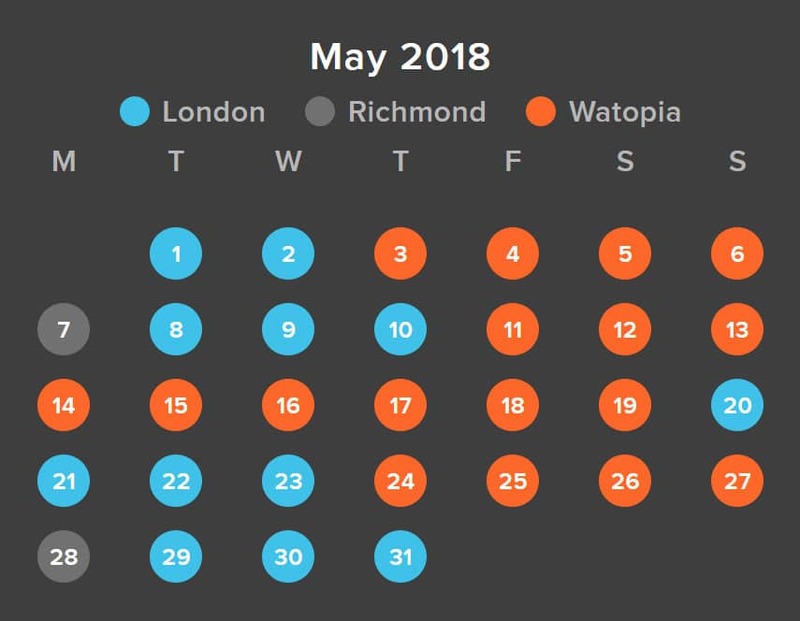 The schedule for May gives us 17 days in Watopia, 2 in Richmond, and 12 in London. 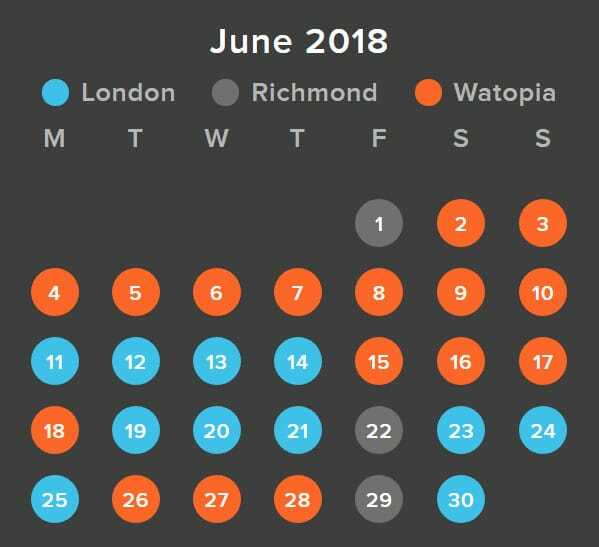 Watopia tends to cover the second half of the week as well as the weekend, with London and Richmond in the early part of the week. We’ve also got a little more London than usual. 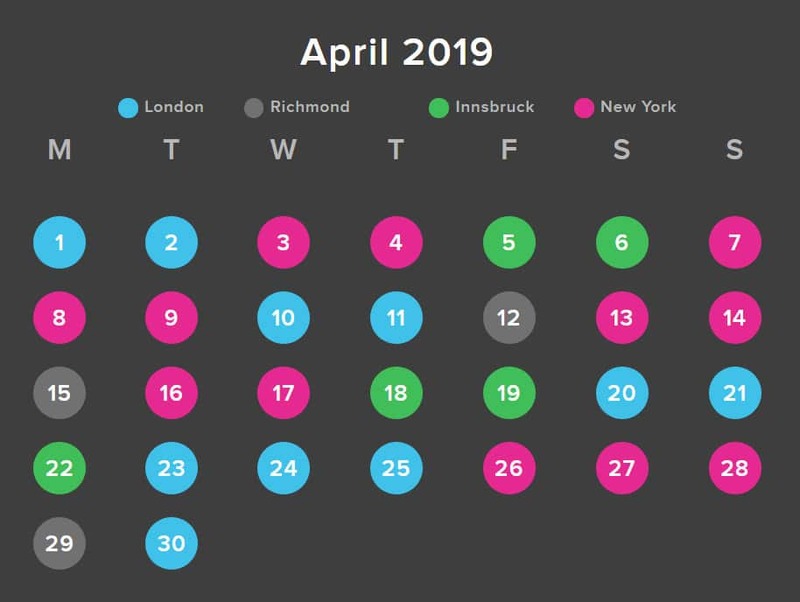 The schedule for April gives us 18 days in Watopia, 3 in Richmond, and 9 in London. With Alpe du Zwift rolling out soon, extra days on Watopia will be welcome. 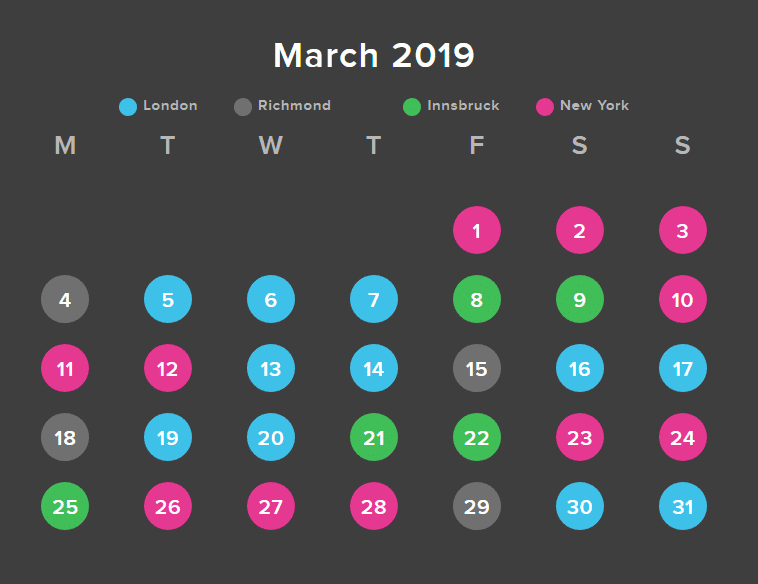 The schedule for March gives us the same number of Watopia and Richmond days as last month, and quite a few London days as well (12). 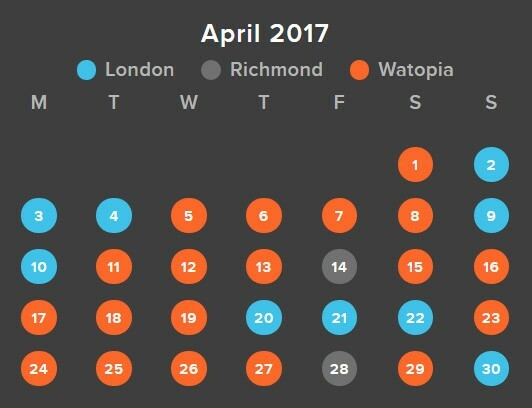 The second week of the month has 5 London days in row–what do you suppose Zwift has planned? 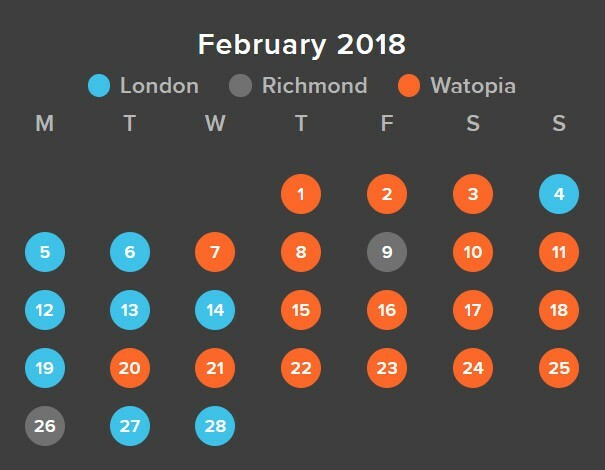 The schedule for February gives us the same number of Watopia days as last month, but fewer London and Richmond days since it’s a short month. Generally speaking we’ve got London early in the week (beginning Mondays) and Watopia at the end of the week and over the weekend. 17 Watopia days, 9 London, 2 Richmond. 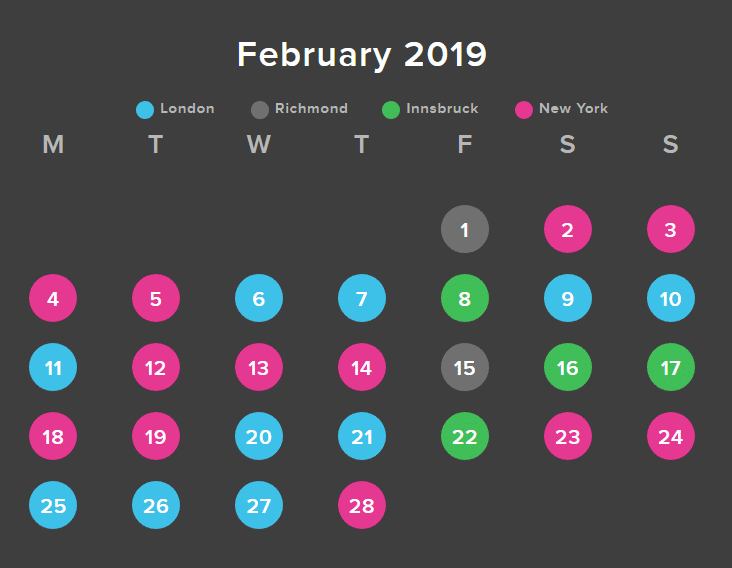 The schedule for January gives us nearly the same number of days in each world as last month… except… 3 days in Richmond?! Time to race! 17 Watopia days, 11 London, 3 Richmond. 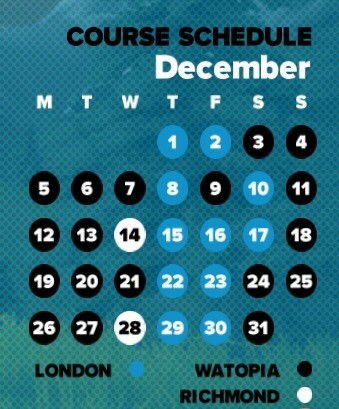 Looking forward to course expansions on both London and Watopia this month… perhaps London is coming on on the 8th? The schedule for December gives us a little less Watopia and a little more London/Richmond that recent months. 18 Watopia, 11 London, 2 Richmond. Two Richmond days… when did that happen last? 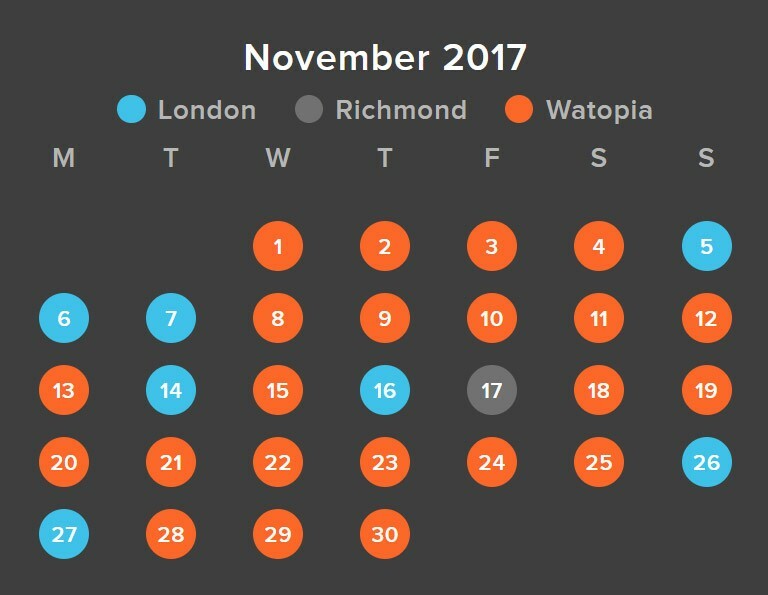 The schedule for November gives us the most Watopia days we’ve had in recent memory, with 22 Watopia days, 7 London, and just 1 Richmond. 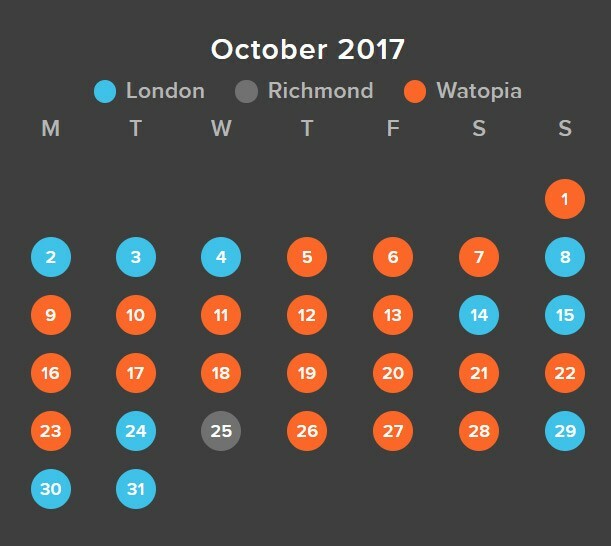 The schedule for October gives us the most Watopia days we’ve had in recent memory. 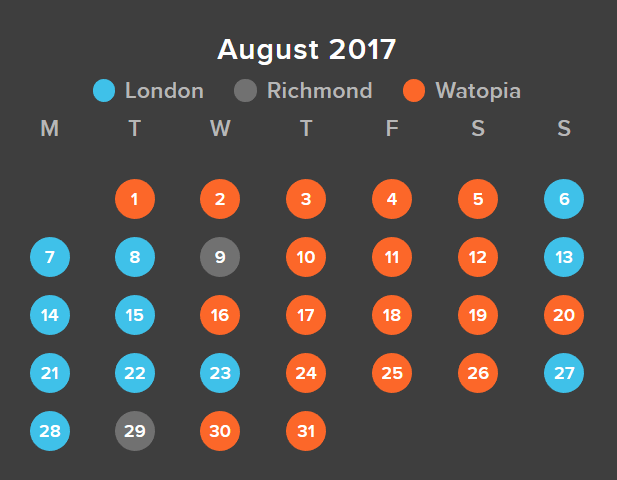 We’ve got a total of 20 Watopia days, 10 London, and just 1 Richmond. 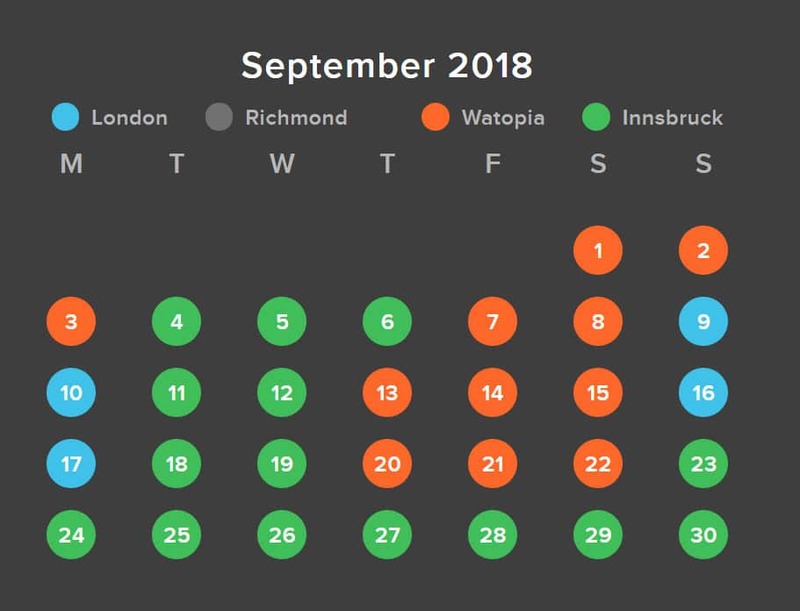 The schedule for September is similar to August’s, with London generally running Sunday-Tuesday, and Watopia running Wednesday-Saturday… plus a couple Richmond days thrown in. 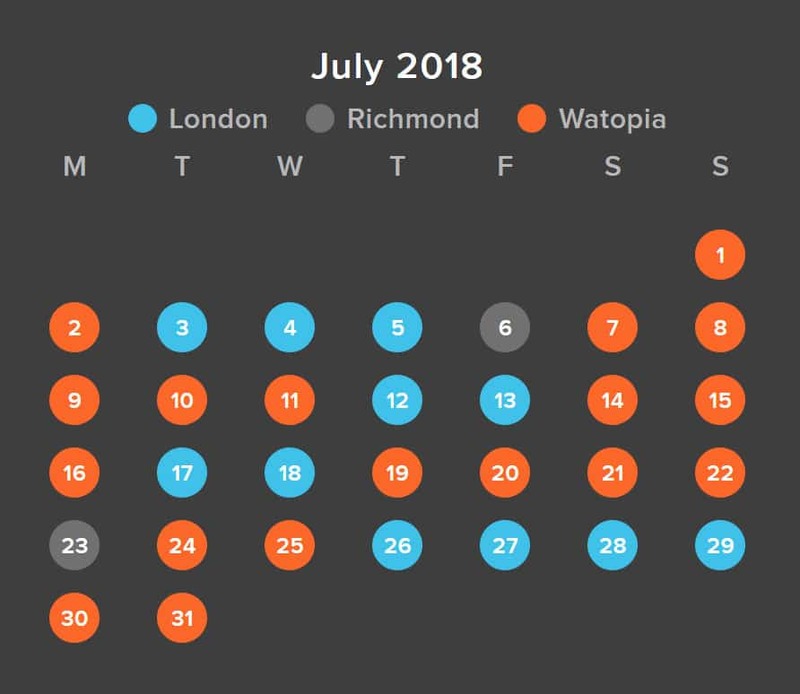 We’ve got a total of 18 Watopia days, 10 London, and 2 Richmond. The schedule for August is similar to July’s, although a bit more uniform. 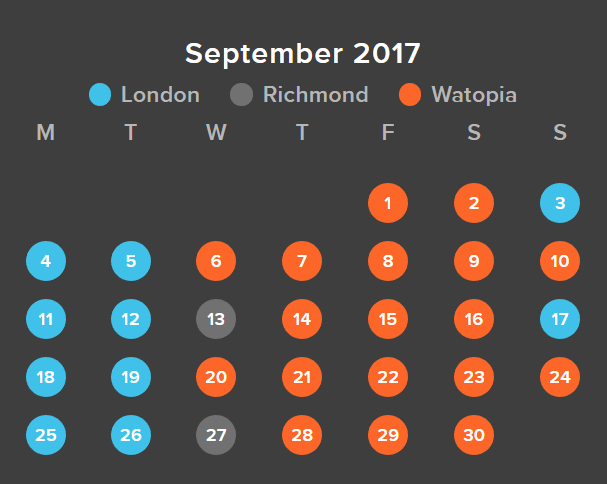 We’ve got a total of 18 Watopia days, 11 London, and 2 Richmond. The schedule for July is quite different from June’s, with Watopia being featured later in the week for the first half of the month, then earlier in the week for the second half. 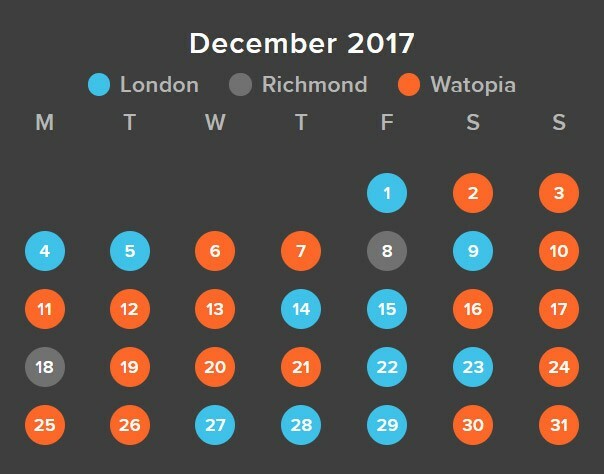 Still just 2 Richmond days, but we have 17 Watopia days and 12 in London. The schedule for June is quite different from last month’s, with Watopia being featured early in the week and a lot more London days. 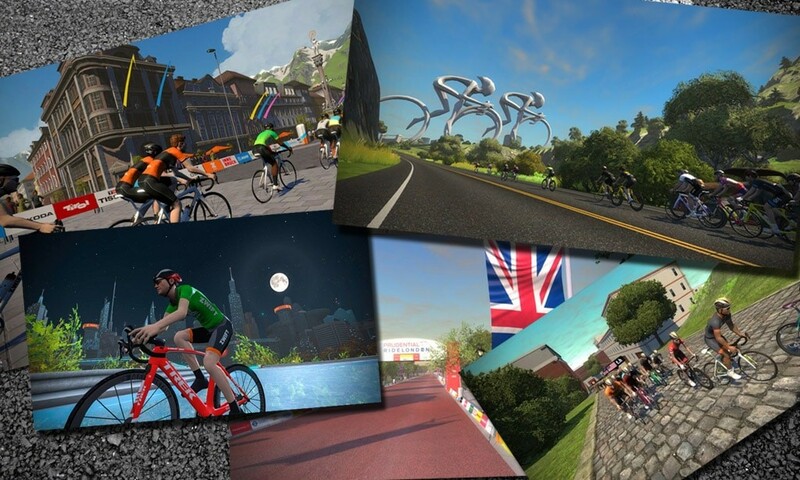 Our guess is ZwiftHQ is planning to release some major London updates in the next week or two and wants to let riders try out the new route(s)! 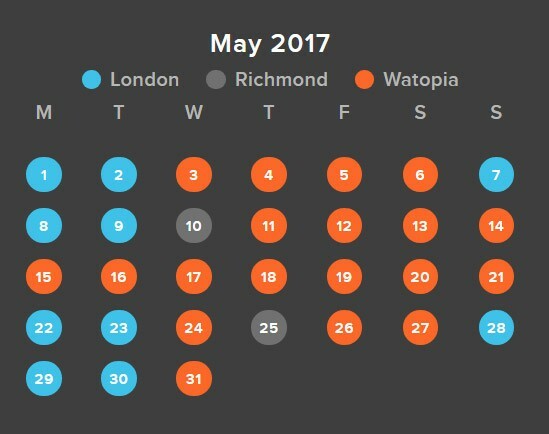 May’s schedule is similar to April’s, but with a couple odd Richmond days and London only featured on two Sundays. We’ve got eleven straight days of Watopia from the 11th-21st… what does ZwiftHQ have planned? April brings our most confusing schedule in recent memory. ZwiftHQ must have some special events or course expansions planned! 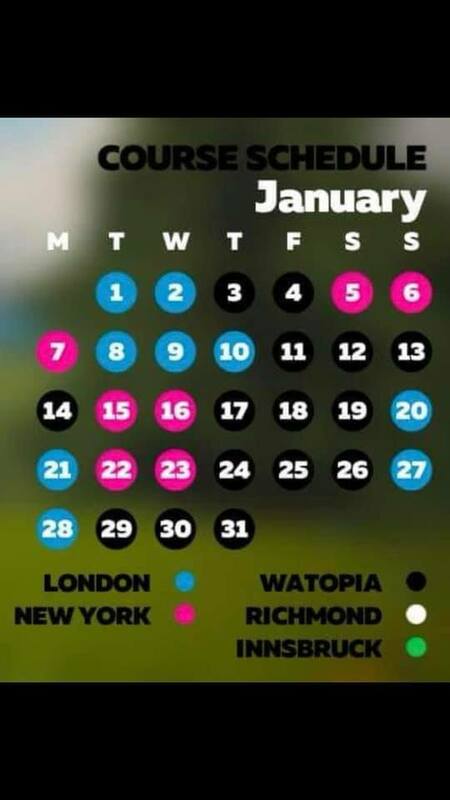 We still get Richmond on the 2nd and 4th Friday like last month, but London and Watopia are all over the place. This schedule is a big change from the last several months, with Watopia and London switching timeslots. Instead of two Richmond Wednesdays we now have two Richmond Fridays. This is the biggest schedule shake-up since November 2016. What do you suppose is happening on the 7th? Guess we’ll wait and see! 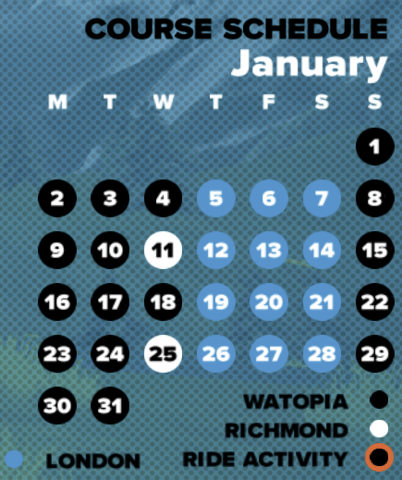 This schedule matches January’s, with Watopia featured Sunday-Wednesday and London Thursday-Saturday, the exceptions being two Richmond Wednesdays. 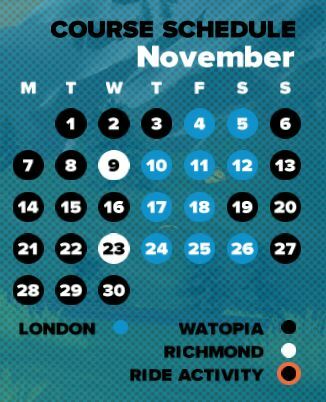 This schedule basically matches November and December’s, with Watopia featured Sunday-Wednesday and London Thursday-Saturday, the exceptions being two Richmond Wednesdays. This schedule is very different from the past couple months, swapping London and Watopia’s places in the week. 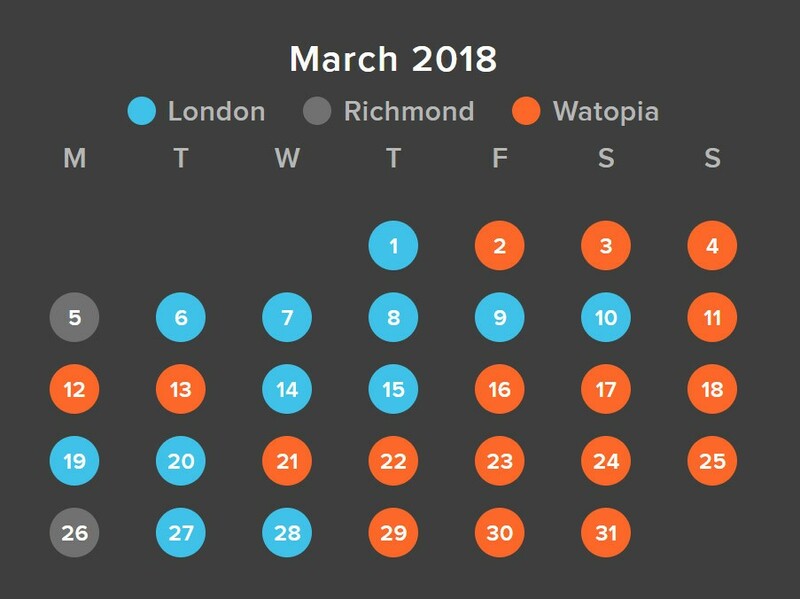 London moves to Thursday-Saturday, and Watopia is Sunday through Wednesday, with the exception of Wednesdays the 9th and 23rd, which will be in Richmond. 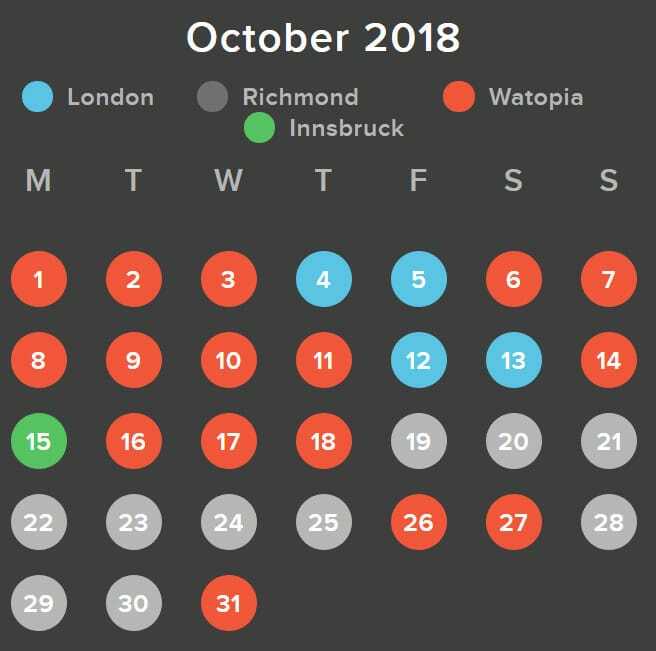 The October course schedule for Zwift has been posted, and it is nearly identical to September’s schedule with London on Sunday, Monday and Tuesday, Richmond only being used two Wednesdays of the month, and Watopia on all other days. The only exception to this schedule is we’ll be staying on Watopia Sunday, October 16th instead of riding in London. What do you suppose Zwift HQ has up their sleeve on Sunday the 16th? Thanks for this. There are no colors for several days in Oct 2018. Yes I know old, but I was just curious was the schedule was in the past. Anyone remember what those days were? I believe that was when NYC was launched… those became NYC days. Hey Eric, any intentions to setup an outlook/google shareable/subcribable calender? Not at this time… it wouldn’t be a hard project for someone with some programming mojo to pull off, though! Just getting started with Zwift. What happens at the exact time the “world” changes, if you are in the middle of a ride? Is this something to avoid? Nah, it’s not problem. You may just notice that the number of riders in that world starts to decrease. But it won’t mess up your ride at all! 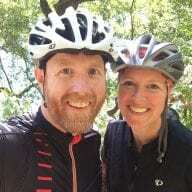 Yes, Zwift has been addictive, and super helpful. I ride outside a lot, but this has been a winter of freezing rain and freeze thaw cycles. Happy to be on my trainer! Thanks for your work on this site, and all the helpful info!! Did the schedule changed due to the Tour of London? 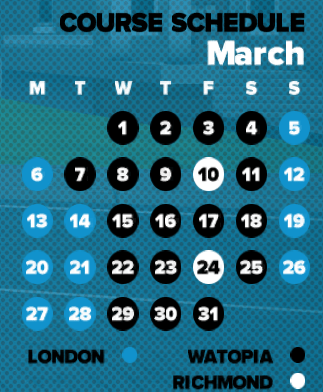 Based on this calendar Watopia is planned on Stage 3 day in London. I don’t think so. Keep in mind events can be held on off-calendar courses, so this is no big deal! Could you let us know if/when there would be a multiple worlds offered. I know I can ride other off-calendar courses but I would like to do a race in NY once a week or so. Thinking for one it would be cool if there was an option that asked to select your world and 2nd if there were races planned for each world. I have no idea–I’m not ZwiftHQ! See https://zwiftinsider.com/where-is-map-choice/ for current status of world choice. Where is the January calendar? How come Zwift haven’t released it yet? I’m supposed to be organising an event tomorrow and I have no idea if it will be able to go ahead now. 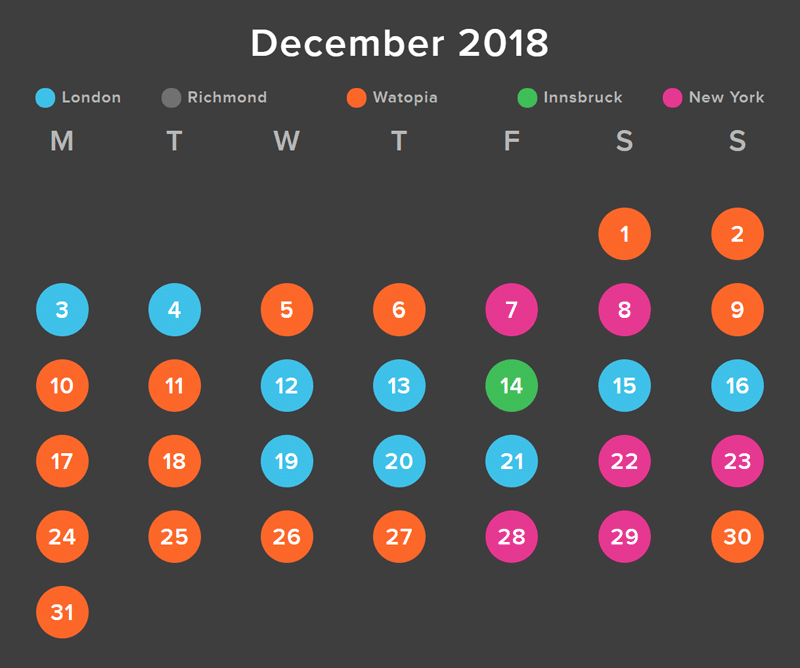 Based on the routes for events from https://zwifthacks.com/app/events/ I would guess that Jan 1-2 is London, Jan 3-4 Watopia. But I’m not sure if it’s accurate if the schedule hasn’t been announced. I have created an iCal for January if anyone is interested in it – am happy to send it across to people. Why don’t we see Richmond nor Innsbruck anymore? NY is cool but seems generally overcrowded to me!? Any info on this? Why are you showing guest like it’s the only thing out there now? What happened to the primary? Big question is why can’t you show both on the same calendar? Personally the only thing I want is to know is where the people are so I can go to the place where they aren’t and this new calendar only showing guest is of what purpose? Why would anyone want to know only the guest site? There seem to be some misunderstandings here, Steven. First: I’m not Zwift. I just run a fansite ABOUT Zwift. Second: Watopia is ALWAYS the “home world”, so it doesn’t need to be shown on the calendar. It’s not going anywhere. 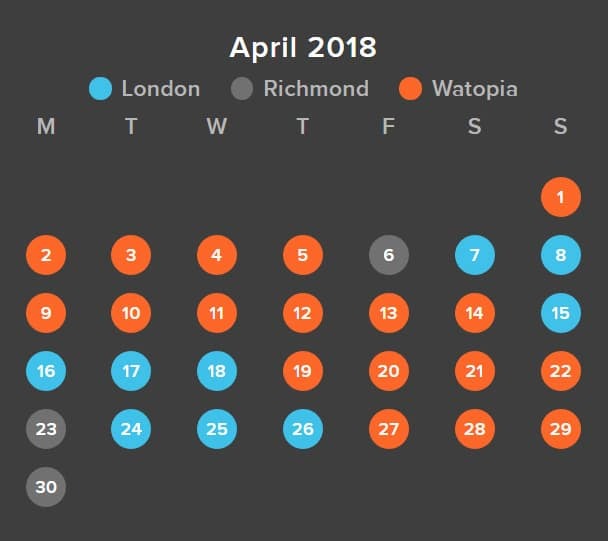 Why would Watopia need to be shown on the calendar when it’s every single day? And when you start up Zwift and are at the menu where you choose your world (Watopia or guest), it shows you the rider count for both so you can pick whichever is busiest or quietest if you wish. Hi Eric – thanks for setting up this page – very useful. Is it possible to show the following month as well as the current month? I can only show the calendar Zwift publishes… and they usually don’t have the next month ready until the last few days of the month. Speaking of which… I just noticed March is up. Time to update this page! Do you update your iCal every month? If so, would you be willing to publish the url? I entered the “Ride the Worlds Challenge” but I missed al the NY days (so I just figured out) is it possible to access the NY route today or tomorrow even though it isn’t posted on the schedule? Only need to ride NY to complete the challenge which ends March 31st.